QLine Lawn Collection 2019 By Qalamkar introducing in 18 amazing designs to make your summer stunning. An amalgamation of fresh concepts with absolute contemporary charm. Explore these outfits that result in artistic pieces that go beyond trends. The hand-work and fun prints make it a timeless design to flaunt. What sets these stunning pieces apart is the carefully curated designs that add a trendy touch to the entire ensemble. Qalamkar is a luxury clothing brand in Pakistan introducing high quality fabrics for women or setting up some awesome trends in clothing. 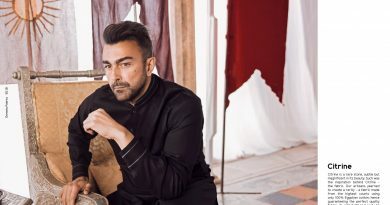 QLine Lawn Collection 2019 is a second collection of lawn introducing by Qalamkar Luxury Lawn 2019 for this summer 2019. Previously Qalamkar introducing Daur-e-Hayat Lawn 2019 or this collection liked by women due to very unique pattern and marvel cut and style. Now its time Qalamkar going to launched another collection by the name of QLine Lawn Collection 2019. A fine quality fabric with medium range price and same outstanding embroidery and flower prints make these dresses gorgouse. 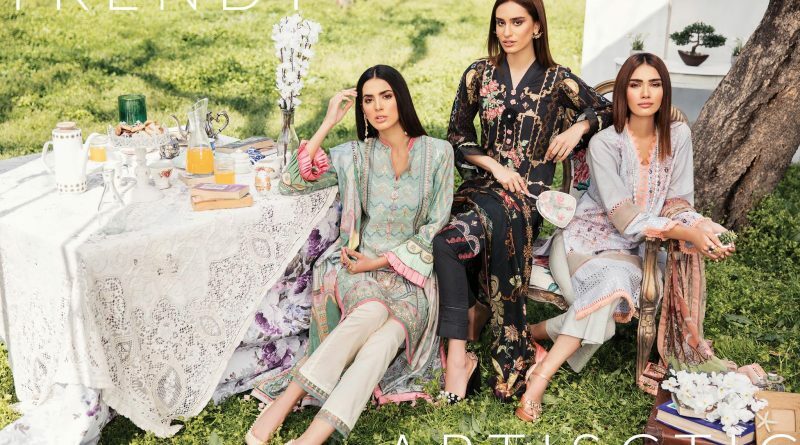 QLine Lawn Collection 2019 consisting of 3pcs dresses with embroidered shirt, printed dupatta and dyed trouser including embroidered patches in 18 amazing designs. All dresses of this collection have unique cut and style with high quality fabrics. Marvel prints and embroidery on neckline and daaman giving feminine look in unique way. Quality of fabric is awesome recently we sold another collection of this brand or never get and complain about stuff and prints. Qalamkar luxury lawn suit is a 3 piece unstitched collection that contain beautiful embroidery and prints with an attractive color scheme in stylish pattern and prints, you`ll find these dresses are adorned with lovely shades and beautiful embroidery work on shirts. Each dress in this collection is adorned with toning patterns and shirts, like striking embroideries neck line with fancy laces. Prices of QLine Lawn are very economical you can buy unstitched fabrics only in PKR 3,890.00 with prime quality lawn. So here is very first look of latest lawn collection introducing by Qalamkar. This collection is inspired by the dynamics of love and neglect, forgiveness and censure. It is represented in the contrast between intricate patterns and the emotional color palette. The designs instil a love for design and painstaking craftsmanship, with the vision to create designs that women can wear on momentous occasions. Hope you like this collection or want to wear these trendy dresses in summer 2019. So look below or stay with us for more updates of latest lawn collection 2019. Enjoy summer with style and keep your wardrobe update.